Juicing pulp Raw Cookie Balls Recipe | Dr. CECILIA de MARTINO, N.D. Ever wonder what to do with the pulp after juicing? Here’s a great recipe that will act as a snack and give you energy. 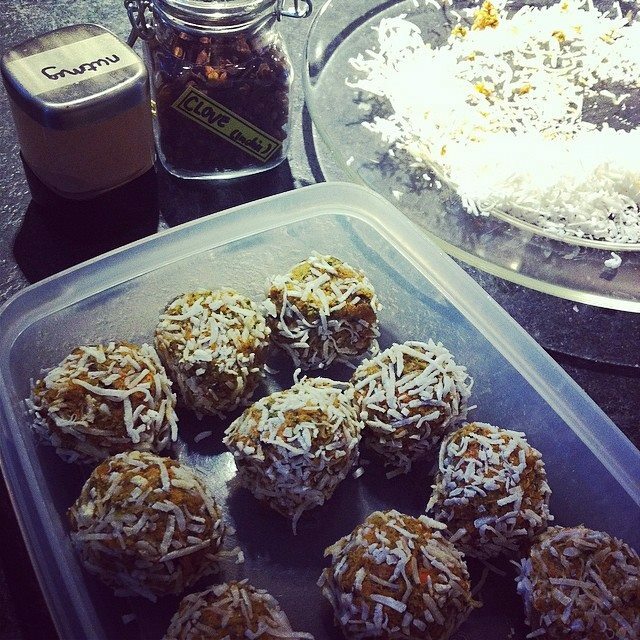 Reserve ¼ cup shredded coconut on a plate to role and coat the balls later. Place all of the ingredients in a food processor or good quality blender (like a Vita-Aid, Blendtech or Nutri-Bullet). Start blending and add water or a milk alternative to create that moist consistency allowing you to role the mixture into balls in case it’s too dry. Roll 1 -1.5 inch diameter balls and coat with shredded coconut. Transfer to a container and refrigerate for a few hours or overnight. They can also be preserved frozen for a few months. Enjoy this delicious high fiber and protein snack between meals or after a workout.